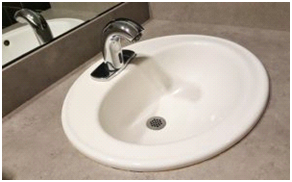 DRAIN CLEANING SERVICES IN KERRVILLE, TX - Bosworth Co. Although they seem like cost-effective solutions in the short term, liquid plumbers and homemade unclogging solutions just aren’t good enough to get the job done. Instead of enlisting the professional assistance from a drain cleaning company, these quick fixes could lead to obstructions and serious damage being done to your pipes. You should always call the experts to ensure a properly cleaned drain. Routine drain checks performed by a Bosworth expert will reduce or eliminate problems concerning your drainage system. If you notice that a drain in your home is draining slowly or begins to make gurgling noises, these may be signs that there is debris buildup in the drain or in a pipe that is connected to the drain. DIRTY DRAINS? GIVE US A CALL! Our drain cameras allow us to detect damaged or collapsed lines, saving you money by avoiding expensive repairs. Whether you’re in need of a drain cleaning or an entire plumbing system renovation, you can count on The Bosworth Company to get the job done. or submitting an online form.